For those cold days, nothing beats this hot dish. 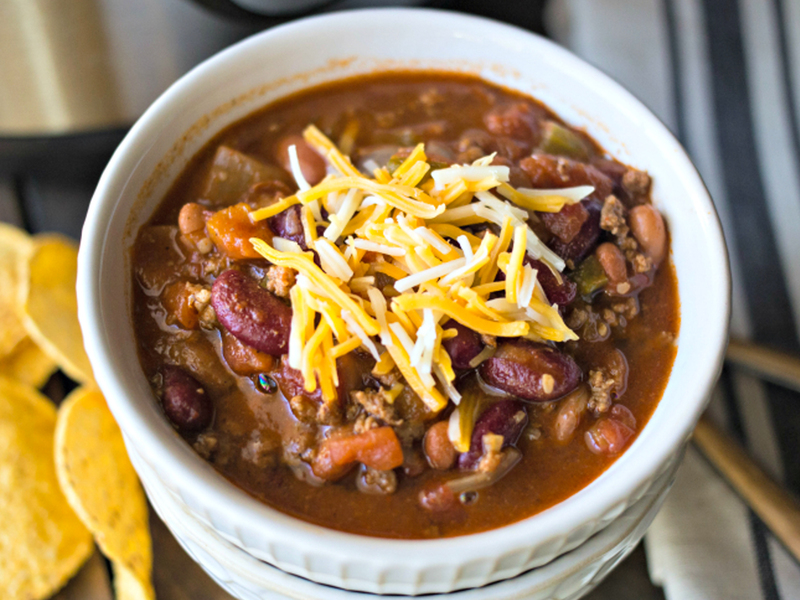 This amazing chilli bowl is jam packed with nutrients, fibre and protein. You’ll have seconds, and go on to thirds. It’s absolutely mouth watering and heart warming. And if a dish can do all that, it’s an epic dish. Start with the beans. Open the cans, rinse the beans in a strainer and drain them. Set them aside to dry. Heat oil in pot. Add onions and garlic. Allow to cook for a couple minutes until translucent. Sprinkle with salt and paprika. Add the peppers and turkey. Let cook for a few more minutes and add the mushrooms. Now you’ll add all your sauces and pastes. The diced tomato and paste should go in. Let cook for 5 minutes. Add the beans. Put on high heat. Mix in all your spices. Let boil then allow to simmer for 30 minutes or so, stirring occasionally. Allow to cool down before serving. Serve with a side of garlic toast. Or better yet, in a bread bowl! Sour cream and green onion make for a delicious garnish on this dish!